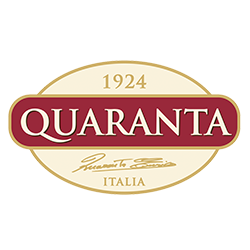 Since 1924, the company Industria Dolciaria Quaranta, located in Caravaggio 40 km from Milan, (Northern Italy), has produced nougats, caramelized nuts and several more sweet products. Antonio Quaranta’s passion for the confectionery led him to start the company, and was later wisely conveyed from one generation to the next one until today. All their products are gluten free and do not contain GMO, hydrogenated vegetal fats and artificial colourings. They are also certified in accordance with the highest international standards in the food sector.